I ordered fifty books of Narrative Press from Amazon that arrived last week. The postmaster remarked it was fortunate that I brought a big bag, and I rode the motorcycle lopsided to my camp. 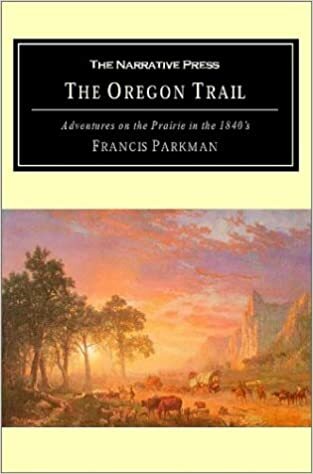 The first book The Oregon Trail: Adventures on the Prairie in the 1840s by Francis Parkman is easily the best account of pioneers of the hundred I've read. It's a cliche to say Parkman put me there, but he did, ready to trade in my motorcycle.